Donald “Donnie” Lee Thompson, 60, of Phenix City, AL passed away Friday afternoon, April 12, 2019 at the Columbus Hospice House in Columbus, GA.
Funeral services will be held at 3:00 pm on Monday, April 15, 2019 at Vance Brooks Funeral Home in Phenix City with Pastor Dany Ryals officiating. Interment will follow at Lakeview Memory Gardens. The family will receive friends from 2:00 to 3:00 pm EST, one hour prior to service on Monday at the funeral home in Phenix City. Donnie was born January 10, 1959 in Greenville, MS to the late Horace T. Thompson and Lennie Lee Fitts Thompson. He was a heavy equipment operator and had worked with various construction companies in the surrounding area. 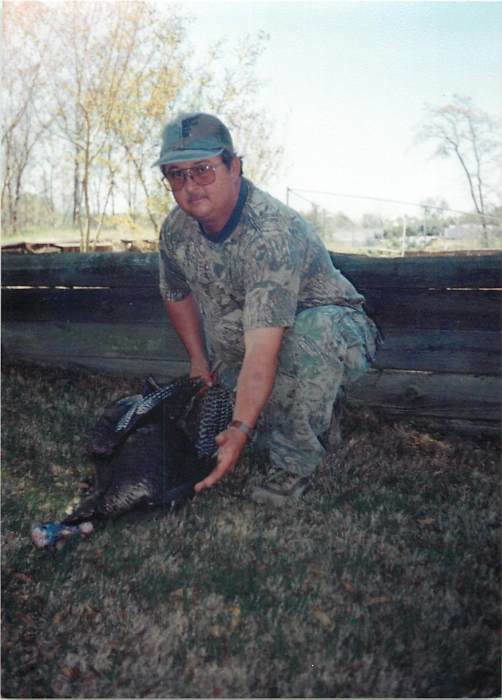 He was an avid outdoorsman and enjoyed fishing and hunting and nature. Donnie was a huge fan of the Alabama Crimson Tide enjoying the many “Roll Tide Roll” victories. He was a Baptist by faith. Other than his parents, he was preceded in death by a sister, Barbara Hyde. He is survived by his loving and devoted wife, Brenda Faye Fuller Thompson, children, Donald “Little Donnie” Lee Thompson, Jr. and wife Keli, Michele Newsome, and Christopher Duggan, (8) siblings, Janie Finkley and husband Jimmy, Juanita Bopp, Gail Wright, Charles Thompson and wife Ann, Rita Robinson, Horace T. Thompson, Jr. and wife Angela, Tony Thompson, and Ronnie Thompson, (6) grandchildren, Brandon Schwoebel, Courtney Duggan, Joseph Duggan, Matthew Santoro, Cody Gunn, and Eli Gunn, and a host of nieces, and nephews, and many caring friends.